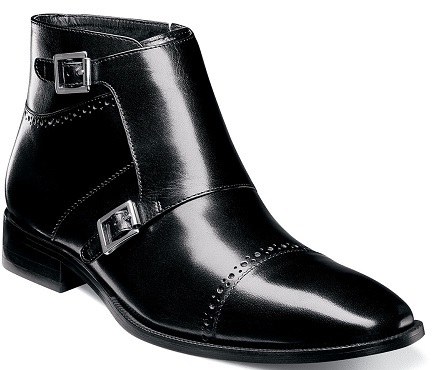 These black boots by Stacy Adams are sure to catch everyone attention. They are made of fine buffalo leather with a double monk strap and cap toe design. These boots will look great with jeans and a blazer and can be worn for a night out as they will add style to anything you wear.